You see, I have been spending an inordinate amount of time in Perth lately and most of my roses are in Bridgetown. They eventually came yesterday and they absolutely promise to be back on Monday. They had better be or else!! Oh, dear! Or else, what? We have no choice but to be polite and sweet as we hear every excuse under the sun why they can’t turn up today but will, surely, be able to come tomorrow. I am too scared to say one cross word in case they decide not to turn up at all. Tradesmen …. nothing stresses me like tradesmen. I don’t know if it is just a Perth thing. With so many men working in the mining industry, skilled men in Perth are rare and if one promises to do work on your house tomorrow, you feel blessed. Anyway, like I said, after one month of waiting, they turned up yesterday and removed a quarter of our roof so it better not rain and they better come on Monday. In short, we are getting a new roof on our Perth house and I have been in Perth waiting for it to happen. I was in Bridgetown for the week we had Pierre stay (the week after the tradesman’s dad’s stroke) but I was so busy that week I didn’t even go and check out the roses, let alone walk amongst them and choose one for a photograph. On my last day, I had planned to pick a few roses on my way out (that is how busy I was) but then I remembered all my books were there and I didn’t know which ones to pack. It got all too hard. So, to cut a long story short, I am in Perth, roseless, but I did find a couple of old photos of Queen Elizabeth that I clearly rejected as not worthy of a post. And Maus came back today, following instructions to bring with her all rose books that mentioned Queen Elizabeth. Coincidently, Maus mentioned that she had been walking amongst the roses and noticed one rose so beautiful that she stopped to check out its name. It was Queen Elizabeth. Queen Elizabeth is a very popular rose and has been for more than 40 years. True to instructions, Maus brought back every rose book I own that refers to Queen Elizabeth. She didn’t leave many behind for it features prominently in most rose books. 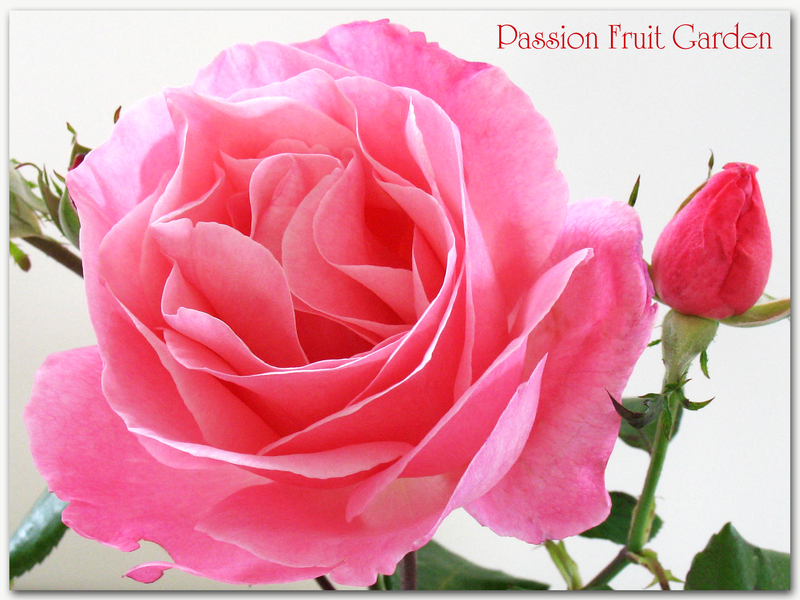 Queen Elizabeth is a Floribunda rose (It is classified as a Grandiflora in the States). Queen Elizabeth’s blooms are clear pink, loosely doubled and cupped. The blooms are produced in clusters throughout the season. 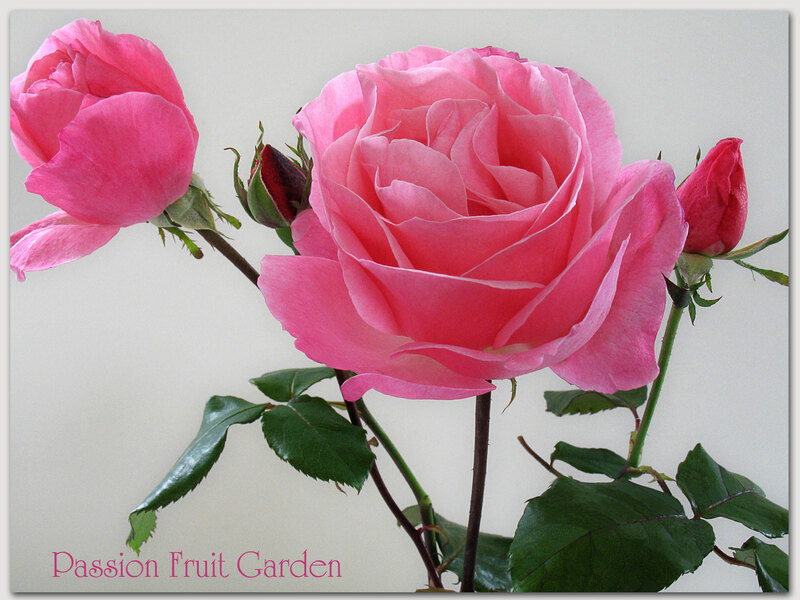 The World Federation of Rose Societies declared Queen Elizabeth the world’s ‘best rose’ in 1980. It is uniformly described as reliable in all climates. It is certainly doing well in my garden – the heat does not worry it. Importantly, the flowers do not burn on hot summer days. It has exceptionally vigorous, upright growth. It is a very tall bush (up to two metres tall by one metre wide). Though none of the books mention it, mine does suffer from black spot in spring but this is overcome by summer. Foliage is dark green, glossy and leathery. Queen Elizabeth was released in 1954 by Walter Lammerts (USA). Lammerts’ British agent suggested dedicating the rose to Queen Elizabeth. This entry was posted in Bush Rose, Floribunda Roses, Modern Garden Roses, Rose of the week and tagged Popular roses, The most popular rose by Glenda. Bookmark the permalink. I, too, have Queen Elizabeth. I saw one in a neighbor’s yard and had to have one of my own. What a beauty! I love how the petals seem to shine in the sun. We’ve had such a hard winter this year. I’m hoping I don’t lose any roses. I’ll find out soon enough. Oh John, I hope you haven’t lost any roses too. We don’t have that problem as our winters are very mild. I love the fact that Queen Elizabeth is nice and tall. A number of years ago we had a huge tree fall on our roof and take out our screened in porch and punched holes in our roof. Over here, insurance companies like to take your money but hate to give any back if something happens. So they tell you to go get quotes from contractors which we did and then they came back and said they had someone who would do it for $20,000 less than our lowest quote! How can it be? Then they tell you that since they have someone who will do it for that price that you can either use their guy or get a check for that amount. We ended up using their guy who was the biggest loser going. Job was estimated to take 4 months and he finally finished 2 YEARS and 4 months later. Oh, and his price? He kept going back to the insurance company telling them the extra charges were for “hidden” damages. Yes, as if those screens that were bent in half were hidden. Never again, I’d go into arbitration. Whew, sorry Glenda that was quite a rant. I feel better now and love you Queen. Hi Diane, Our insurance system is pretty good. The insurance companies have their own repairers and they are pretty well top notch. They do a good job as they want to stay on the insurance companies’ good books. The trouble starts when you want a job done yourself. They are nowhere to be found. Tradesmen seem to be the same everywhere in the world! What a shame you’re missing out on your roses, though a good roof is probably a good idea! Hi Anne, A good roof would be great before winter as our current one leaks. They are turning up and doing bits and pieces. If only it would happen, I could sleep at night. Beautiful rose! Is it fragrant? You made me laugh re tradesmen. Rest assured it’s not just a Perth thing. We underwent what was supposed to be a 10 week renovation in 2010. Six months later we moved back into the house and lived with a constant stream of workmen for another 6 weeks. You’re spot on when your say tradesmen’s family’s keep very bad health!